The brand new Destiny 2 social hub is codenamed The Farm, and presents a base of operations for all Destiny players, as they work to reclaim The Tower from the hands of the Red Legion. In this Destiny 2 Farm guide, we'll be walking you through everything you need to know about the new location, including all the new Destiny 2 vendors, as well as all the new quests you can undertake from there. This Destiny 2 Farm Guide covers all the information you need on The Farm, but if you're after anything else do with the sequel, then head over to our Destiny 2 guides walkthrough hub, featuring information on how to access the beta on console and PC, as well as all the new Strikes shown off for the game so far. Alternatively, if you've reached the end of the Destiny 2 campaign, then head over to our Destiny 2 Traveler guide, where we'll be detailing every vendor and faction in the latest social hub. If you don't know by now, the Farm is taking over from the Tower in Destiny 2, because the latter doesn't actually exist any more. The Tower is completely destroyed by the Red Legion and chief antagonist Ghaul at the outset of Destiny 2, during the Homecoming mission. 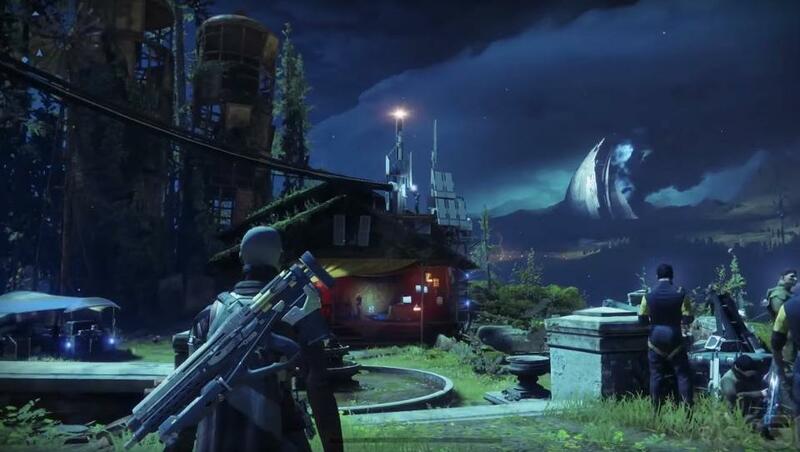 Your player character and other characters like Commander Zavala, Ikora Rey, and anyone else who made it out of the Tower alive are now in need of a new home, so they turn to the Destiny 2 Farm, located on Earth in the European Dead Zone. 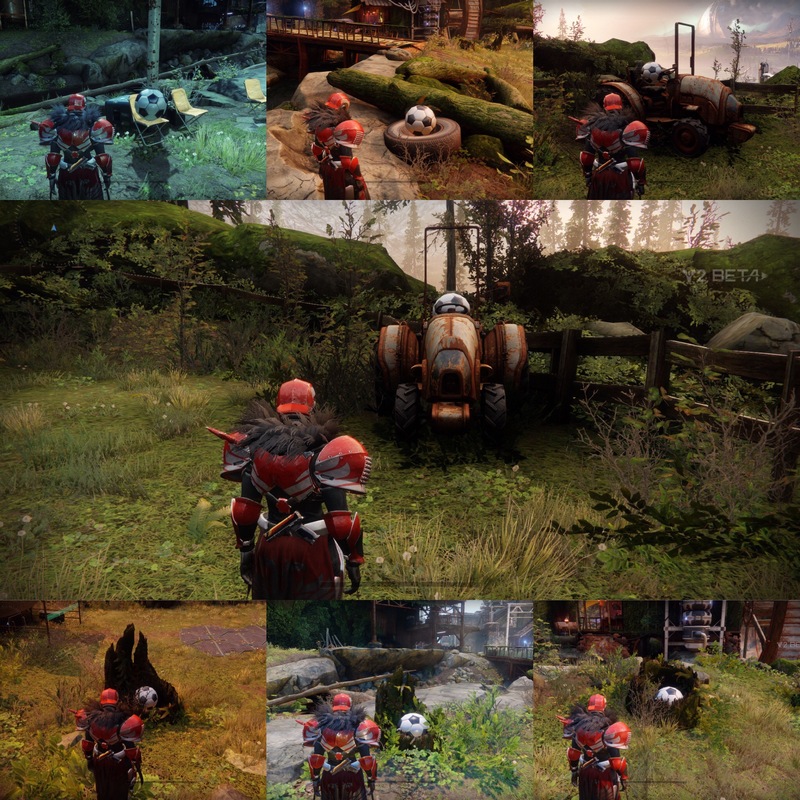 Destiny 2's Farm social hub. As for the Destiny 2 Farm social hub itself, we'll list out all the new details and activities you can undertake in the Farm, of which there are a lot more than there were in the Tower back in the original Destiny. 26 players can now be in The Farm at once, this having increased from the limited The Tower had of 16 in the original Destiny. The Farm will only be unlocked in the full Destiny 2 game after you complete the main Homecoming mission, in which The Tower is destroyed. The Farm will evolve over time, with Bungie narrative lead Ryan Ebenger hinting that this evolution will be tied to player progression in the Destiny 2 campaign. NPC characters can come and go from The Farm, with this also likely being tied to your progression in the campaign. Two vendors are so far confirmed to be in The Farm - Postmaster Darbl 55-30 and Cryptarch Tyra Karn, both of which featured in Rise of Iron's social space. There is a hanger in The Farm, where players can fix their ships and Sparrows after the attack on The Tower in the Homecoming mission. You can see The Shard in the distance, which you can reach in another area of the European Dead Zone, where The Farm is situated. There's a soccer pitch in The Farm, where players can score goals and set off a chain of fireworks in doing so. So what can you actually do in Destiny 2's Farm? For a start, it's where every faction leader will be located, these being Commander Zavala for Titans, Ikora Rey for Warlocks, and Cayde-6 for Hunters. These are the people you'll primarily be going to to turn in quests, as well as purchasing class-specific items from, for example Zavala will sell items only Titans can equip, and so on. The Farm is where the majority of vendors in the game will be located, just like they were in the Tower in the original Destiny. You can buy weapons and armor from these vendors, as well as cashing in Engrams with Tyra Karn. We've got a complete list of all the vendors in the Farm just below, as well as a general roundup of the items they sell or trade in. Darbi 55-30 - The Postmaster on the Farm, Darbi's icon will flash up whenever you have a post item waiting for you. Tess Everis - Tess deals in Silver, the currency which you can purchase with real world money, and then trade for a random Legendary item. Tyra Karn - Karn replaces Master Rahool as the Cryptarch in Destiny 2, and you can take any unopened Engrams to her for unlocking. Lord Shaxx - The Crucible Handler, you can trade in Crucible Tokens to Shaxx to increase your rank with him, and receive Legendary rewards for each rank you progress. Arcite 99-40 - You can purchase relatively standard weapons from Arcite with Glimmer, or you can dismantle Rare or Legendary gear to him, in order to earn Gunsmith materials. Suraya Hawthorne - You meet Hawthorne near the beginning of the campaign, and she becomes a fairly standard vendor in the Farm, offering you decent gear as you're climbing up the lower ranks. Aside from interacting with vendors and quest-givers in the Destiny 2 Farm, you'll also be able to take to the soccer pitch with any of the other 26 players in the Farm. The soccer pitch has a scoreboard, and a row of fireworks that detonate whenever anyone scores a goal. It's a nice touch for the Farm, and gives players an actual activity to do in the area, unlike the Tower previously. Once you've completed the campaign of Destiny 2, you'll actually gain access to a brand new social hub in the game. We're not going to spoil what this location is, but if you want to find out more about this brand new social hub at the end of Destiny 2, head over to our guide on it. As we previously mentioned, we'll be updating this guide to the Destiny 2 Farm whenever Bungie make any changes to the social hub, as well as when we uncover any additional secrets about the area, such as which NPC characters can come and go during the main campaign.